The utility industry's argument that smart (AMR, ERT) meters are safe must be rejected, because it relies on FCC testing for radiofrequency (RF) interference, which is not a safety testing protocol, and flawed FCC radiation exposure guidelines. The FCC testing for smart meters is done in an isolated laboratory, divorced from the context in which these meters are intended to be used, connected to the wiring in a home or business. 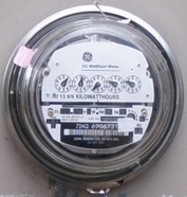 We present below compelling technical and empirical proof that, when these meters are used as intended, they cause an antenna effect, inflicting great harm to occupants inside their homes and businesses. When used as intended, smart meters that appear to be safe in the testing laboratory are lethal. 1. An RF engineer's technical report confirms that smart meters cause an antenna effect when connected to electrical distribution systems, resulting in extraordinary RF exposures that are significantly higher than those reported in isolated laboratory testing. Stop Smart Meters New York (SSMNY) hired an RF engineering firm named Isotrope "[t]o evaluate the devices in situ" and to make "a field survey of the various emissions of concern, employing an array of electronic test equipment." Isotrope concluded, among other things, that the radiated- and conducted-emissions testing of electrical meters that was performed by the FCC "does not replicate actual conditions...." By contrast, when Isotrope tested a meter in usage as intended, connected to a home wiring grid, "the conducted emissions from the meter at 915 MHz ISM frequencies in a residence was observed to be substantial,"
This confirms what we refer to as the antenna effect of smart meters, which results in emissions that far exceed those reported when meters are tested in a laboratory setting, disconnected from wiring. The Isotrope Report goes on to state that "if the 915 MHz conducted energy were to be held to the same standard as 30 MHz, the level of the 915 MHz conducted energy from the AMR meter would fail." The Isotrope report thus substantiates that smart meters cause an extraordinary RF/MW antenna effect on electrical distribution systems when they are used as intended, rather than in the isolation of a testing laboratory. 2. The smart meter antenna effect results in injury to occupants of homes and business even where the meter is installed up to 150 feet away. Many people are reporting becoming ill after smart meters, including AMR and ERT models, are installed on, in or near their homes and businesses. Reported symptoms include heart palpitations and other cardiac problems, ringing in the ears, sleep problems, anxiety, headaches, nausea, recurrence of cancer and more. These reports are too numerous and too consistent in nature to be dismissed as coincidental. Where smart meters are installed up to 150 feet away from a home or business, the onset of these symptoms among occupants is attributable to the smart meter antenna effect. This video record demonstrates the importance of the conducted emissions documented in the Isotrope report and reveals how smart meters can cause illness for people sleeping in bedrooms distant from the meter. Final confirmation would require replacing the smart meter with an independently sourced analog meter and re-testing. Lacking that final proof, this video provides compelling evidence that conducted RW/MW emissions from smart meters can be extremely hazardous. A full investigation by the New York State Health Department and Centers for Disease Control is warranted. 3. 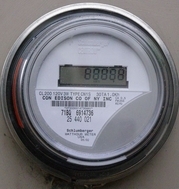 Smart meters have specific identifiable pulsed clicking signals. The following video demonstrates the specific and distinct sound and RF/MW measurements of smart meters, using the identical measuring equipment that SSMNY used in the previous video. This corroborates that the signals that are audible in the prior video are attributable to the smart meter installed on the home that SSMNY visited. The Isotrope report's findings concerning the antenna effect caused by smart meters, and SSMNY's observations of that effect and the injury it causes, debunk attempts by the industry to claim that these meters are safe. Those attempts depend on testing meters in the isolation of an FCC laboratory, without connecting them to wiring grids, using protocols which urgently need to be updated. The utility industry and government regulators have presented no evidence that smart meters are safe. Moreover, the findings presented above confirm that these meters are unsafe despite the fact that they may appear to be operating within flawed FCC guidelines, in the isolation of the testing laboratory. They demonstrate that FCC testing needs to be updated from interference testing to health-based testing. In addition, the FCC should obtain assistance from the U.S. Environmental Protection Agency in establishing health-based standards and testing protocols. The utility industry and government regulators made a dangerous mistake when they invested so heavily in smart meter technology before testing their impact on human health and safety. The industry should not be permitted to inflict the consequences of that mistake on us and our families by deploying this dangerous technology in our homes and businesses, against our will. The FCC should acknowledge the inadequacy of its testing, remove these meters from the market and require utilities to replace non-analog meters with purely mechanical analog meters.